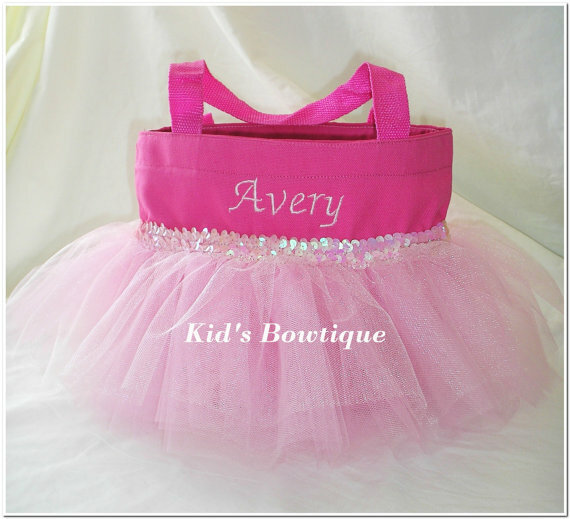 This tutu bag is the perfect bag for any little princess who loves Sleeping Beauty! 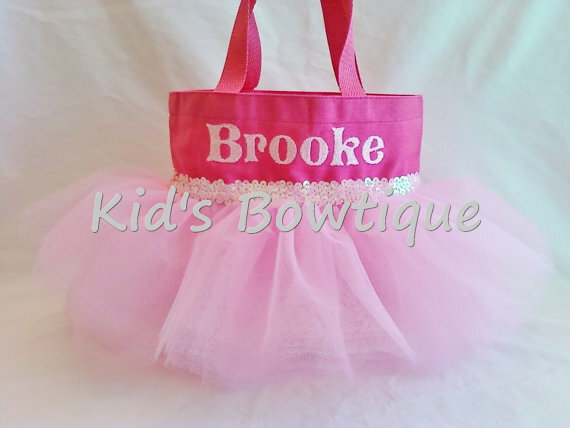 The canvas bag is approx. 10.5 X 8.5 X 2. 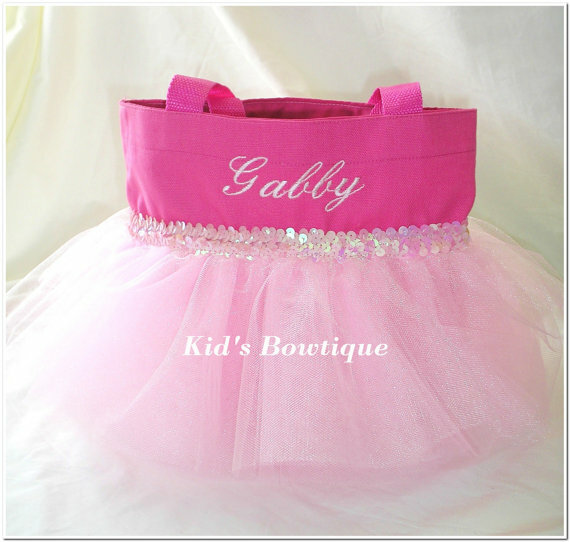 This pink tutu bag has a pink tulle tutu for uniqueness, pink sequins for dazzle, and embroidery for personalization!